In a recent survey, men said that how a woman dresses says alot about her personal style and wealth. Men don't necessarily care if you're wearing an expensive name brand as much as he cares if your outfit suits you, your body and your personality. 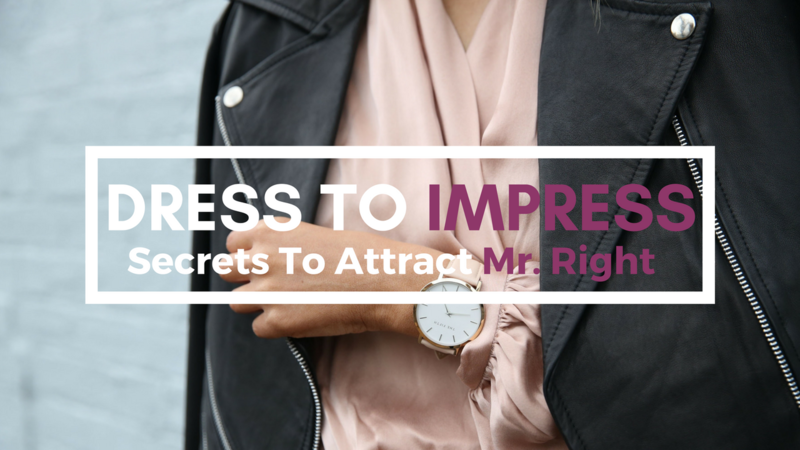 This means you’ve got to bring your “A” game every time you walk out that door, which is why I’ve created the Dress To Impress Course. No more playing it safe with old clothes that no longer look flattering on you. This course will help ease you into looking and feeling your best self because this is vital to attracting and keeping Mr. Right. - Watch the video course presentation with Michelle G. and styling expert, Sam B.